There’s so many bargains floating around for Cyber Monday but what if you’re not shopping for tech but Pokemon instead? Someone’s got to be the best and catch ‘em all, after all. 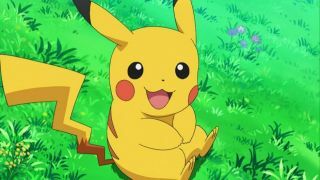 Here’s our round up of the best Cyber Monday Pokemon gifts and merchandise. For consoles and TVs, check out our constantly updated Cyber Monday gaming deals. Pokemon Sun and Moon Fan Edition (3DS): If you want to go for a Steelbook Case then you’ll want to pick up the Fan Edition for £44.99 from GAME. 2DS console bundle: Want to play Sun and Moon but don’t want to shell out for a 3DS? Grab this brilliant bundle that includes a 2DS and Pokemon Sun or Moon. Get it for £89 from Tesco. Pokemon Sun and Moon Strategy Guide: Find out all the secrets of Alola in this official guide reduced to £13.79 from Amazon. Pokemon Monopoly Kanto Edition: Time to catch ‘em all but also try and build as many hotels as possible. Get this collectible Monopoly with reduced to £31.98 at Amazon. Pokemon cushion: Bring your love for Pikachu home with this very yellow cushion for only £9.90 from Tesco Direct. Pokemon on-ear headphones: Get these Pokeball on ear headphones for only £19.99 from Argos. Pokeball powerbank: Charge your Pokemon GO device with the Pokeball it deserves. This juice pack is £20 from Tesco. Pokemon Movie collection: Catch up with 3 of the Pokemon movies on Blu-ray for only £22.99 on Zavvi. Pokemon Christmas Jumper: What better way to get into the festive spirit than with a dancing Pikachu and reindeer. Grab it at GAME for £31.99. Pokeball mug: Drink to your favourite Pokemon for £8.49 from Zavvi. Zavvi also has a 2 for £12 mug offer to combo up with this Pikachu mug. Pokeballs poster: Know your Greatball from your Ultraball with this poster for £6.99 from Zavvi. Add in some other Pokemon posters for a 3 for £9 deal. Pokemon hoody: Wear your love on your sleeve with this Black Pokemon hoody. Save £10.01 and grab it for £24.99 at Zavvi. Want it a bit brighter? It’s in red for £24.99 from Zavvi too. Pokemon Creative Colouring: Grab some colouring pens and find your colouring zen with this official Pokemon colouring book for only £5.49 from Amazon. Pokemon 8” Plush: Get instant Poke-friend including Pikachu and Eevee for only £9.99 each from Argos. Pikachu 8” Plush: Snuggle with your favourite electric mouse Pokemon. Save £7 and squish for only £12.99 from Zavvi. Snorlax 6” Plush: Cuddle up with the sleepy one or attempt to resist keeping it and give norlax as a present for £12.99 from Amazon. Pikachu slippers: Ok, these are ridiculously cute and you can get a variety of other Pokemon to wear around the house for £19.99 from Amazon. Pokemon 20th Anniversary Victini 8”: Get this adorable Victini for £19.99 from Toys R’ Us.